Norwood arranges a wide selection of corporate and community events which are also a great way to support the charity while also having fun. 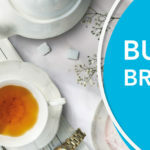 Hear from Lord Daniel Finkelstein OBE, one of the nation’s leading political commentators, who will be sharing his key insights at the breakfast. Daniel is the associate editor of The Times, a weekly political columnist, and former chairman of Policy Exchange. 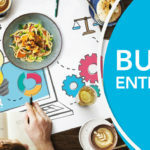 Get your early bird ticket for the YN Business Entrepreneurs Event and hear how some of our community’s finest go-getters seized their opportunity. We're excited to announce that the annual Norwood Supper Quiz will be taking place once more on Sunday 27 January 2019 – and tickets to this fun evening are just £25 per person. Norwood proudly presents this annual fundraising lunch which takes place on Wednesday 10 October in North London. Enjoy the networking opportunities, awards, auction and raffle that you've come to expect from this industry-leading charity event. Summer may seem a fair way away, but you can already sign up for The CJ O'Shea and Galliard Homes annual Golf Day in aid of Norwood on 27 June. There'll be an engaging speaker, a delicious three-course meal and the perfect opportunity to network with old and new contacts. Norwood is excited to invite you to a Business Breakfast with four of the top tech firms disrupting the traditional media industry. Norwood’s poker night is back! There are 100 seats available for this exclusive event on 4 December, once again held at a prestigious Central London location. The Distressed Investing Dinner, in aid of Norwood, brings together the top professionals from the investment industry, with over 300 guests representing more than 70 companies. 2017 sees the welcome return of the YN Business, Finance & Entrepreneurs Dinner which will take place on Tuesday 19 September. Dust off your irons, smash the competition off the fairway, and raise vital funds for Norwood: Norwood's Golf Challenge returns on 5 July. Norwood’s Property Lunch is the industry’s largest charity networking event. 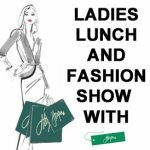 Join us this year for a three course lunch, guest speaker and networking reception. 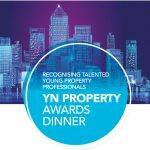 The YN Property Awards Dinner is coming up, and it’s set to be the biggest one yet. Not only will you get the chance to network, find new talent, close a big deal or two, and raise vital funds for Norwood, but you’ll also be treated to top notch entertainment.